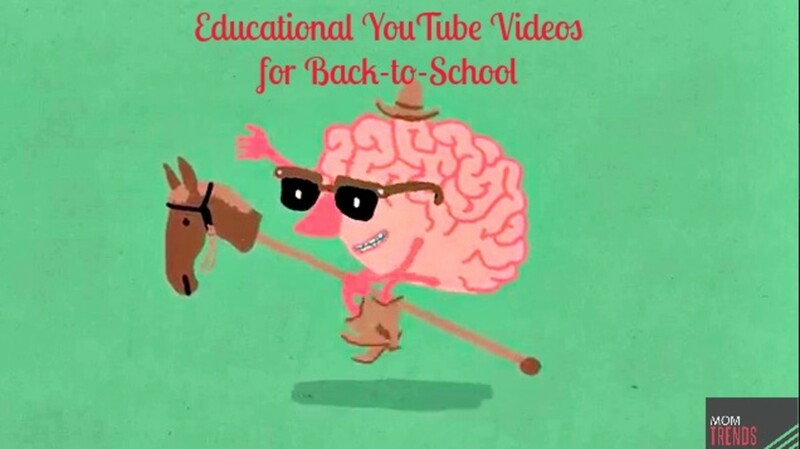 We love YouTube for all of our Momtrends&apos; lifestyle videos, but it can also be used for the back-to-school season. Since tutors are so expensive, we love how parents can use its vast library of entertaining educational videos that let kids hone their skills in a particular subject and make computer time more constructive. In fact, there are nearly a million teacher approved videos on YouTube.com/education. Math: Numberphile dissects some of the best math jokes in a fun animated video that covers everything from vectors to magnitudes to limits and everything in between. Science: We love this channel as a way to brush up in on everything from Chemistry to Astronomy. History & Social Sciences: Through this channel you can learn about some of the most important people in American history through the “Getting to Know the US Presidents” series on GettingToKnowVideos like this cartoon of George Washington.